O Thursday, it was announced that President-elect Donald Trump would nominate Ryan Zinke to be secretary of the Department of the Interior. Zinke, a Republican representative from Montana, was elected to Congress just two years ago and was sworn into office in 2015. The former Navy SEAL is known for his love of the outdoors, having been raised near Glacier National Park. He has spoken often about his love of hiking, hunting, and fishing. However, the League of Conservation Voters, an environmentalist group, gave Zinke's Congressional voting record a 3 percent score on environmental issues. 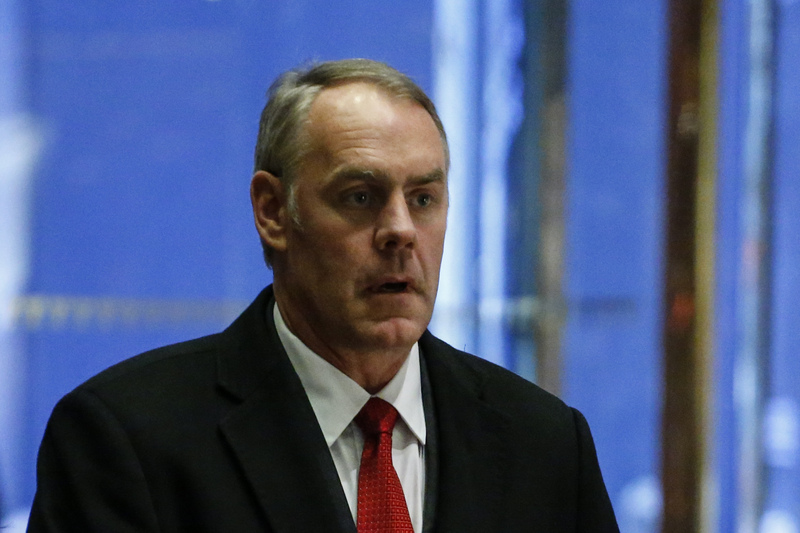 In a report for the Los Angeles Times, William Yardley outlined environmentalists' concerns over the prospect of Zinke leading the Department of the Interior. Yardley noted that Zinke "opposed a new rule to reduce the emission of the greenhouse gas methane during energy production on public land and a moratorium on new coal leasing." Moreover, Zinke also "praised a preliminary federal study that said hydraulic fracturing to produce oil and gas did not cause systemic damage to drinking water — but that finding was reversed in a final report this week." Zinke was also supporting of the Keystone XL pipeline and highly critical of President Obama when he rejected the proposal to build the oil pipeline. “President Obama turned his back on Montana, turned his back on American workers, and turned his back on our closest neighbor and ally, Canada. And for what? President Obama is making phony claims about the impact of the Keystone that his own State Department says is not true," Zinke said, according to the Billings Gazette . Zinke added, "The president is 100 percent wrong on Keystone, and every candidate who sides with him on this will pay the price on Election Day because the American people are fed up with it.” It turns out, Zinke's words were prophetic.